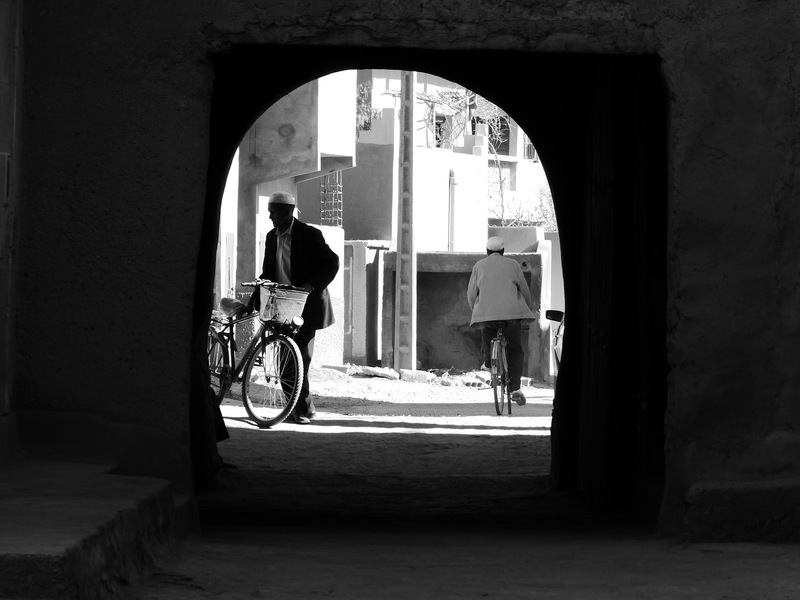 “Fifty-two days” responded Mohammed, our Berber guide, when queried how long it would take to get to Timbuktu. “By camel” he added when noticing our quizzical facial expressions. My first though it that fifty-two days on a camel would be torturous, but the idea of fifty-two days on a camel through the Sahara seems down right impossible. We were only on the camels three days and had enough. Fifty-two days seems unfathomable. The salt traders were a heartier folk than us soft Americans. Sore butts (and blisters in places where there shouldn’t be blisters!) aside, Morocco was an incredible experience and a place we would love to explore more thoroughly. 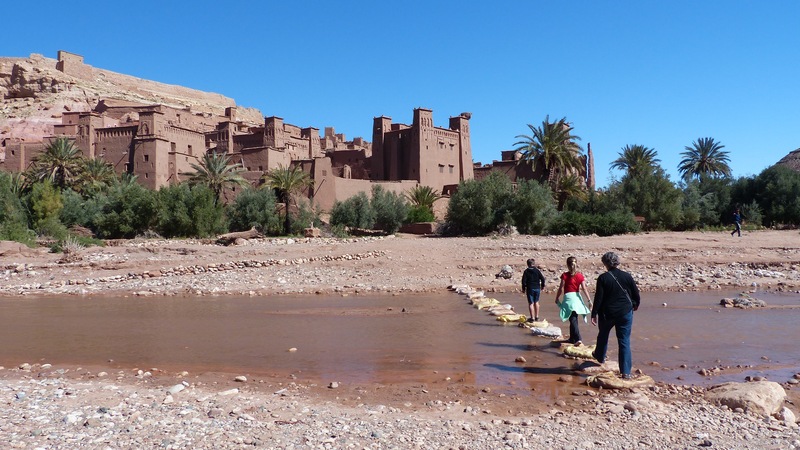 We arranged our time there as a “highlights” tour, spending only a few days in each of the well-known locations – Marrakech, Erg Chebbi in the Sahara desert, Meknes, Fes, and Assilah. 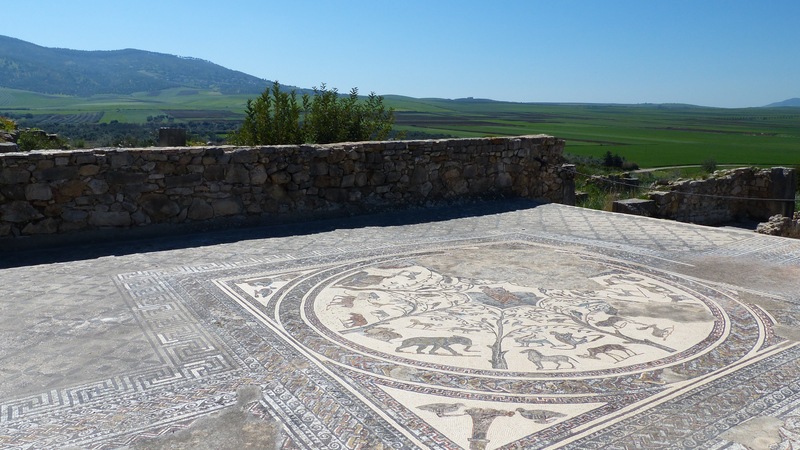 We rented a 4×4 car so were not beholden to bus and train schedules, thus allowing us to be able to stop at minor out-of-the-way destinations such as Tizgha, Ait Ben Houddit, and Volubulis without having to join a formal tour. Having read horror stories of driving in Morocco, we were a bit apprehensive, but all of the hype was over-stated. We found that the drivers were largely following general guidelines (i.e. don’t pass on a blind curve, honk when overtaking a slower vehicle in front of you, stop for pedestrians, etc.) with a few looser interpretations than what we are accustomed to (i.e. keep generally to your side of the road unless the other side is smoother in which case stay on the smooth road for as long as possible only switching to your side if the other driver does not back down, signaling turns is unnecessary, etc.) but compared to Nepal and Peru, it seemed down right organized. Most of the road signs are have English translations making navigation relatively easy (except for where there are no road signs at all – more on that later). French is widely spoken so communication is possible. But, perhaps the best part of having your own car in Morocco, is that you get to meet real Moroccans outside of the horribly touristed places. For anyone who is moderately adventurous, this is an amazing experience. 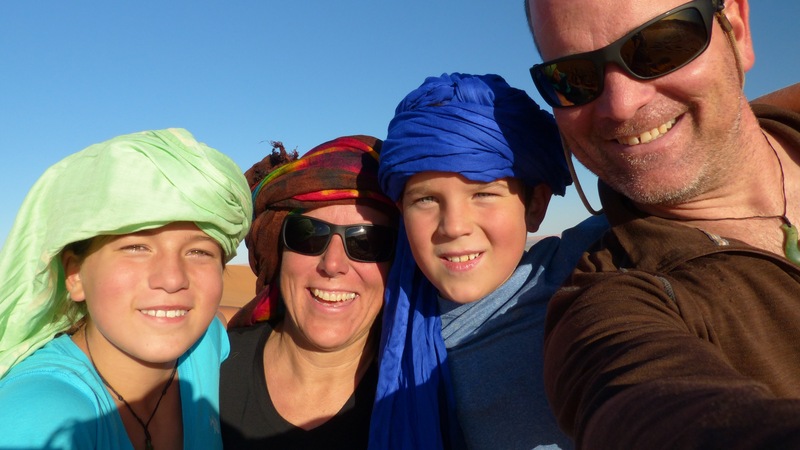 For the me and the kids, the adventure of Morocco began at the tail end of a twenty-three hour flight from Australia. Yes, twenty-three hours of flying time, not including layovers. Prior to going on this trip, I would have dreaded such an endeavor, especially being solo with the kids. I would have spent hours creating a game plan – getting them psyched up for the challenge of being together in a small space, finding new and engaging entertainment options, getting them enough exercise before we boarded the plane so they wouldn’t go crazy, making healthy snacks to take with us, etc. What I realize now is all of that energy would be misplaced on my anxiety, not on the reality of what they need. We all did just fine without any significant preparation – just got on the plane and everyone slipped in to their long travel day routine. I’m not going to lie to you, 14 hours on a plane is a long time that challenges anyone’s patience, but we all did well and made it safely to Casablanca. Colburn had been in the US doing some job search stuff for the previous three weeks, so met us at the airport for a wonderful family reunion. After two years of being together nearly 24/7, when he left Indonesia for the US and we headed to Australia, all of us were a bit out of sorts being separated. Coming back together was a welcome relief. We all took a deep breath, loaded up in the car and drove straight to Marrakech, our first stop. Arriving on the outskirts of Marrakech at dusk with only general directions written by the owner of our guesthouse (riad) for guidance, we attempted to navigate our way in to the medina. The directions said something like, “Exit off of the toll road and go through several roundabouts until you get to the last big roundabout before the city itself and take the third exit. Go through two more roundabouts then make the first right. When you get to Petit Cour, call us and we will send the bell boy to come get you.” OK, so we are new to Morocco and not really sure how to determine which roundabouts are considered “big” and which ones are “small” or which one is the “last one” before the city or if “Petit Cour” is an area, a building, a roundabout, or what, but we trust in the universe and do our best to follow these directions. We exit the motorway and use the GPS feature on our smart phone to let us know the general area. We are feeling confident because it shows us a much larger roundabout just before what looks like the outskirts of the city. The directions didn’t use street names, so it wasn’t possible to double check to make sure we were at the right one. As it turns out, the directions didn’t describe any street names because they don’t really use them in the same way we would. There are few, if any, street signs and those are mostly in Arabic script, directions are provided in terms of blocks, landmarks, and other markers. We, unfortunately, were too anxious to “take the third exit” and ended up on the opposite side of town, heading towards our next destination. Realizing that we had missed our exit, we retraced our steps back through to where we though we made the mistake, only to make the same mistake again! Now it was not just dusk, it was dark, and we were getting a bit frustrated because we had already had a long travel day coming from our respective continents. 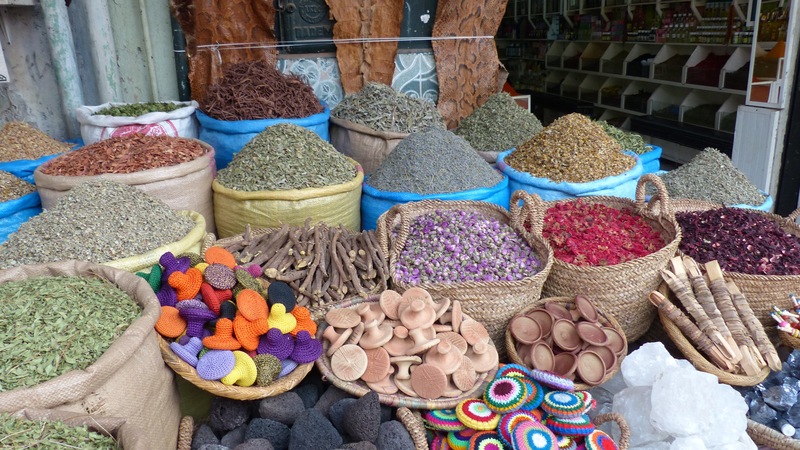 Marrakech is a big medieval walled city with twisting, winding, narrow lanes which do not follow any sort of pattern. There is not a grid system, a spoke and wheel layout, or any other semblance of order. The streets were built helter-skelter and designed for pedestrians and donkeys, not cars and trucks. Colburn was doing his best to dodge the evening rush hour of men on bicycles, women toting babies and groceries, people on motos and donkeys pulling carts while I attempted to give him directions like “where the road splits off in to five directions up here, take the hardest right you can.” Eventually the lane narrowed down to something that is barely wide enough for a car to fit through but it was completely clogged with pedestrians. We are only a block or two from our riad, but quite literally, our car is surrounded by a sea of scarved women in long robes, young men in jeans and sweat jackets, older men in hooded djellabs, donkeys pulling wooden carts filled with firewood, and overflowing stalls of meats, spices, trinkets, and household goods. A young man off to the left side of the car frantically waves at Colburn and yells something in French. We don’t understand, but roll down the window. He sees our wide-eyed-ness and pale skin so responds with compassion, speaking more softly this time, but still in French. Once again, he sees our blank stares of incomprehension, so switches to English. “The road is closed here sir, only people can go, you have to go back.” He implores us to head out the direction from which we just came, but we resist because our riad is just on the other side of the crush of people. We are so close! When we show him the location, he smiles and pulls out his cell phone saying, “Yes, you are close. Let me call them to see where you park.” Moments later he pounds two quick taps on the hood of the car and indicates for us to follow him. Our guide clears the way for us to easeforward making sure we stay very close (like within an inch or two) from the donkey cart in front of us. Quick waves of his hand mean move forward. A solid rap on the hood means stop. His buddy literally “has our back” and is guiding the rear of the car to make sure that we don’t accidentally run over anyone because in order to get down our road, a 26-point turn is needed, inching forward and backward to make the off angle turn. Like the President’s Secret Service, they each had a hand on our car indicating to us when to go and when to stay. As our guide parts the sea in front of us, we get to an open triangular area that has two cars in it, both parked at odd angles. “This is where you park” he told us. After paying the equivalent of US$3 per night to what appears to be a random man on the street, we lock our car and follow our guides through the melee of people, jostling our suitcases behind us on the cobbled streets, dodging donkey dung all the while. The area we are walking through is actually a night market. What we see is a blur of robed people, grills spewing smokey aromas of charred meat, dim overhead lights, raw meat hanging from hooks, piles of grains, and many other items spilling in to the narrow lane. We turn off the main road, down an even more narrow but equally poorly lit side road, then make a sharp right turn ducking under a low overhang or perhaps a small doorway, it is difficult to tell in the dark. I am not really sure where we are now, then a bit of anxiety hits me, “What if instead of calling our riad, he had called his buddies and they are going to mug us?” We have a lot of US cash on us right now, are exhausted, stressed, and new to the culture. What if I missed the signals? Just as I really started to think about what to do, our guide points out the sign above us which reads “Dar Hanane”, our riad. But for the providence of strangers, we could have been lost for a very long time. These two young men, probably 20 or so, saw that we didn’t know the area and helped us out. This scene was to be repeated several more times during our stay in Morocco. Whenever we were lost or mis-directed, someone would see our confusion and come to our rescue. Sometimes they asked for small backsheesh ($1-3), but mostly they did it out of genuine hospitality. Only once, during our last days in Morocco, did anyone try to scam us for this help. Everyone else made us feel most welcomed and honored that we had chosen to visit their country. 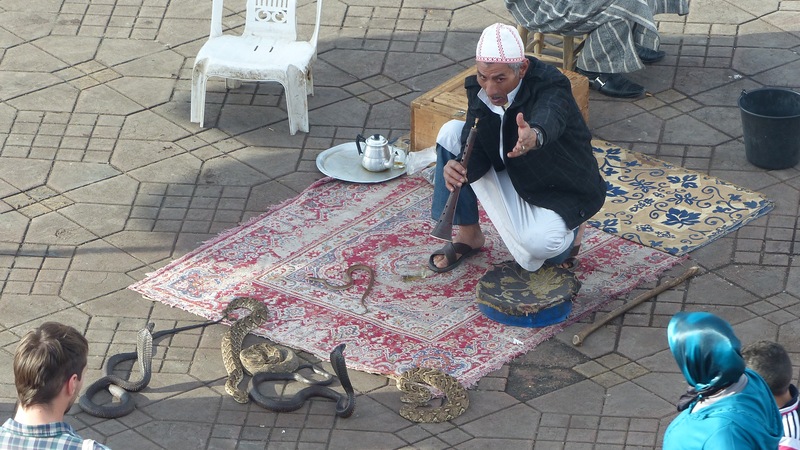 Marrakech is an interesting city awash in tourists. Because of this, it is difficult to know what is real in the city and what is primarily there only for the benefit of tourists. Lines of caleche drivers (horse-drawn carriages) tout their services always undercutting the next driver, snake charmers perform their craft but have sewn the snake’s mouth shut so it is all just a facade, and the acrobats request a “tip” for simply walking by where they are performing. If you view it as a grand show, it is quite interesting, but so theatrical that one cannot see the reality of life there. 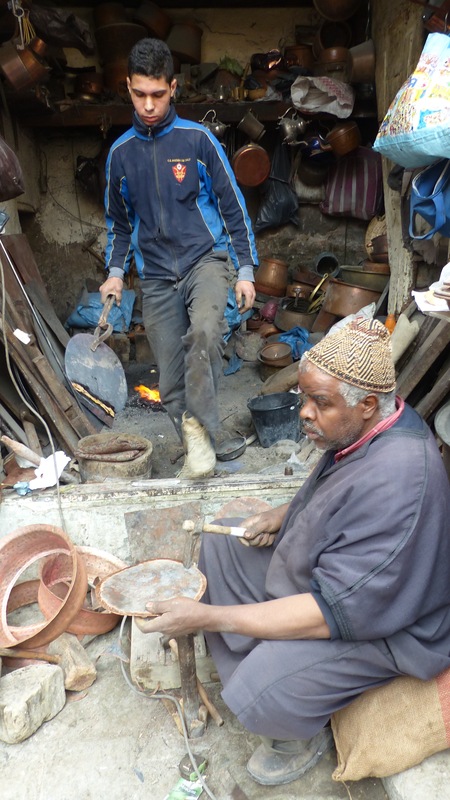 In contrast, the Medina of Fes is still an authentic, thriving small city with wood workers, metalsmiths, a tannery, and other artisanal traditions still practiced intact. Yes, there are tourists, but the city seems to remain true to itself and has not sold out solely to the tourist dollar. 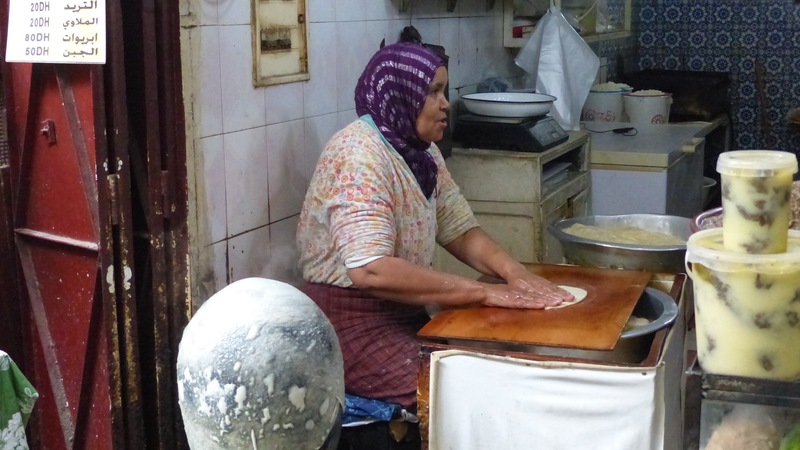 In full disclosure, we only spent one day in Marrakech and three in Fes, so perhaps it was the depth in which we were able to experience Fes that leads us to such differing opinions about the two; it is hard to tell. 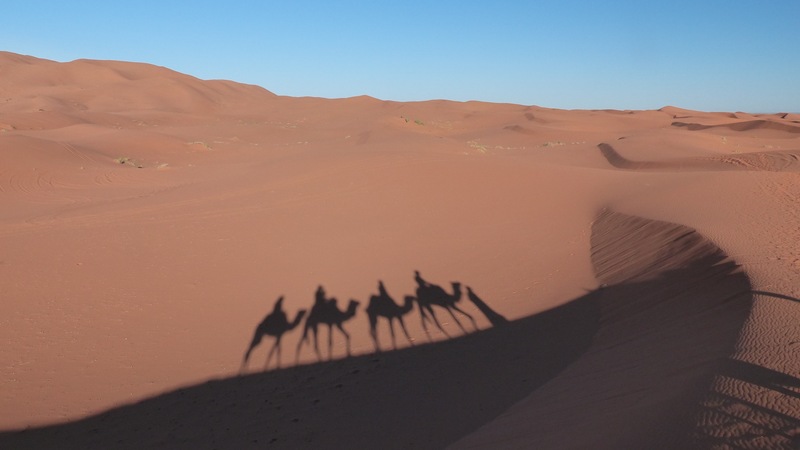 Perhaps one of the most serene and sublime experiences of our trip so far was a three-day, two-night camel trip in to the desert dunes of Erg Chebbi on the northern edge of the Sahara Desert. 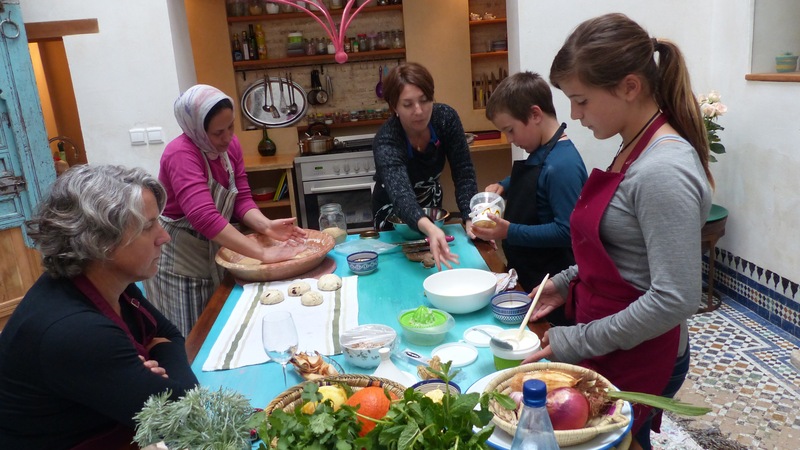 Rather than going through one of the big tour operators, we had learned about the Family Fayou through a homestay organization we had contacted. The business is a family affair with Mohammed being the main guide, his mom and sisters providing food preparation and hospitality, his younger brother Said taking care of the camels, and his father continuing to farm a small plot for wheat and other necessities. Mohammed’s family were originally nomads who lived in the dunes herding goats and occasionally welcoming intrepid travelers to their home for the night in exchange for a small fee. As adventure travel became commonplace, they had more and more guests so were able to use some of the money they earned from hosting tourists to build a home in the local village, Ras-el-Erg. 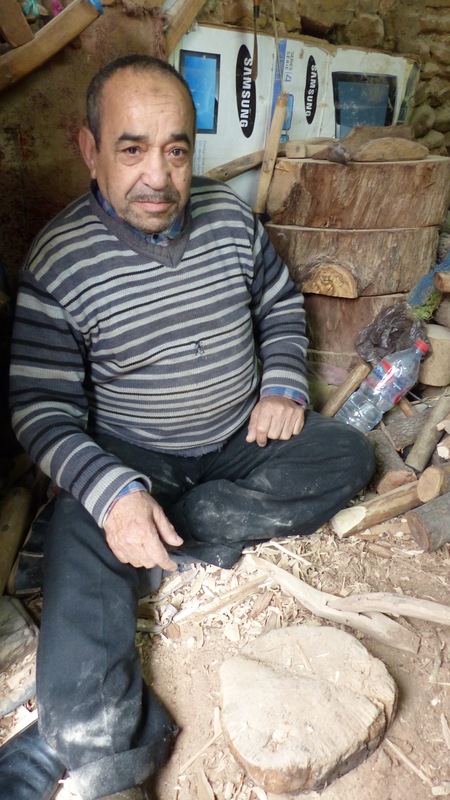 Mohammed learned English through the guests who came to visit their nomadic tent and completed high school in the big town some 50km from his village. Eventually he and his family were able to purchase three camels of their own and start guiding their own guests. While he and his family enjoy the ease of life in the village, they miss the quiet and solitude of the dunes. 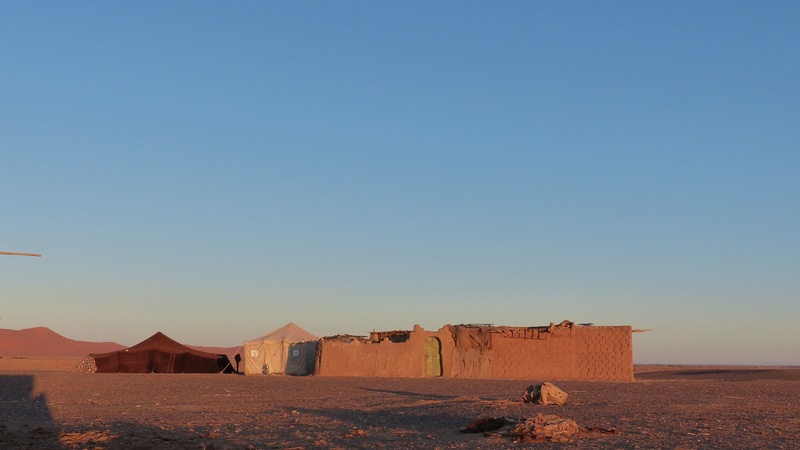 Our first night was spent in the black rock desert along the Algerian border visiting a family not unlike what Mohammed’s family was twenty years ago. 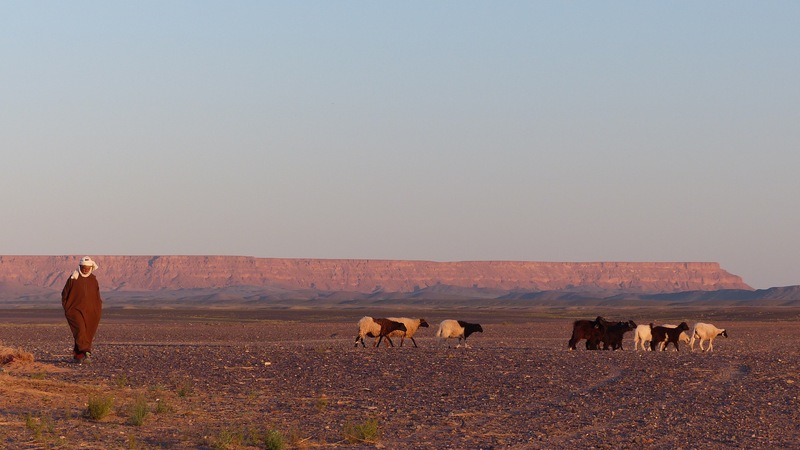 It struck me that although these people are referred to as “nomads”, their lifestyle is, in fact, quite settled. They have a mud-brick house which although roughly built, still provides solid protection from the prevailing winds and sand storms. They have a traditional goat hair tent for when they have guests or need to move for whatever reason, but it doesn’t appear that this happens very often. The goats roam the area, grazing on whatever shoots they can find, the little boy kicks an empty plastic bottle across the dirt, and the young mother weaves a rug from small strips of excess fabric. 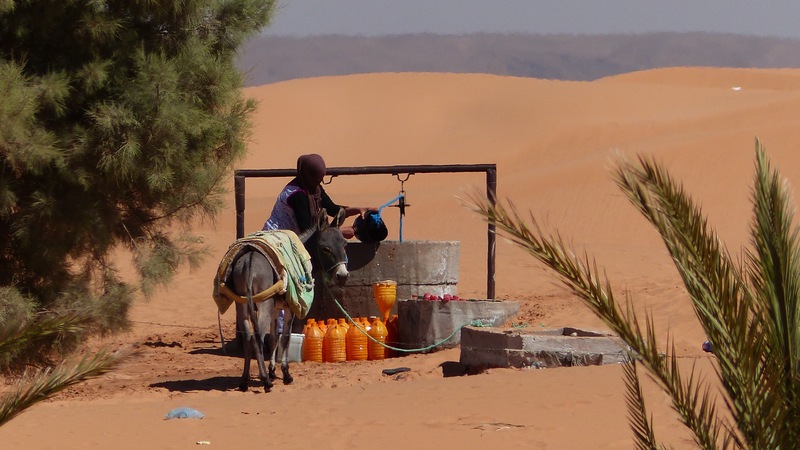 Water is collected by hand and transported by donkey but there is plenty of it close by. There are no long walks to water, so life is relatively easy here, pretty much going on as it has been for many centuries if you don’t count the Land Cruisers zooming by loaded with well-heeled hotel tourists out on their “sunset dune tour”. Interestingly Mohammed said that none of the jeep tours stop to meet the locals or will even bring supplies to the nomads. Instead, the air conditioned vehicles have their windows rolled up, insulating their inhabitants from the sun, wind, and locals as they zoom past. We spent the evening sipping mint tea, playing cards, and watching the amazing moon rise in the desert before we were tucked in under a mountain of blankets for a lovely night’s sleep. After our fourth cup of morning tea, we left the black rock desert behind and headed directly west in to the sand dunes. Rising up out of the desert, the dunes look like giant orange mountains stacked against the horizon. One set of ridges give way to the next in undulating waves. Mohammed walks barefoot in front of us, leading the first camel by a rope with each successive camel tied to the one in front of it. Atop the camels, we marvel at the degree to which the camel’s fleet splay out in order to distribute their weight over a larger surface area thus avoiding sinking ankle or knee deep with each step. The camels themselves are cantankerous, contemptuous creatures who only reluctantly accept passengers or loads to carry. When Mohammed would approach the camels when it was time to saddle them up, the camels would protest vocally and give him the “stink eye” as if to say, “I despise you and all you make me do!” They also have an interesting odor – it is not foul and acrid like a peccary nor is it warm and musty like a horse, but rather is unique and not unpleasant, but not quite pleasant either. The digestive sounds they make at both ends reminded me of old plumbing backing up. It is a gurgling, bubbling, roiling sound that makes you feel that something terrible is about to happen. Luckily, nothing terrible ever did. Our second afternoon and evening were spent at the oasis where Mohammed grew up. His family’s tent is still there, tended to by one of their former neighbors who still lives in the dunes. The mid-day sun is intense, even in March, so everyone waits it out in the shade. We read books, played with the baby goats, did some school work and were entertained by a little boy and his shy older sister. As the sun begins to set, we start our trek up the highest peak near the oasis to stretch our legs. 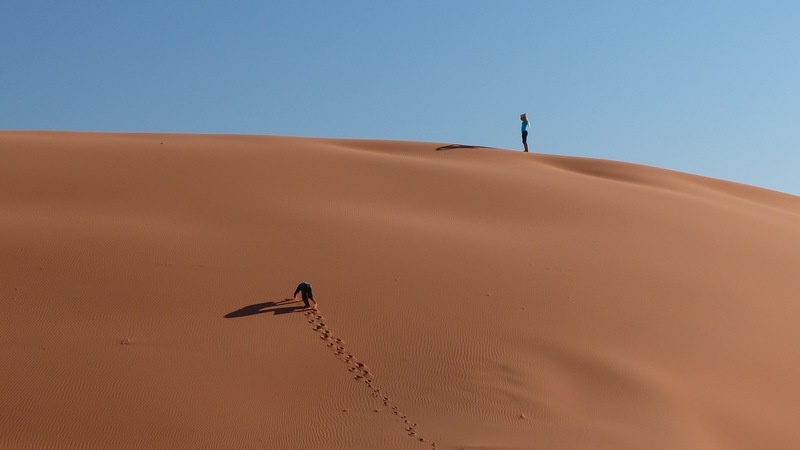 When we climbed the dunes in the Namib, we were amazed at how difficult it was to make progress, so we started with low expectations of how much ground we would be able to cover. The sand here was much firmer than the Namib however, so we were able to make it to a lower shoulder ridge in only 45 minutes or so. Lucia wanted to climb higher, so she and Mac headed up the next ridge as Colburn and I looped around the side. From where the kids stood, they could see the peak, so headed up that way. We could see them but they were too far away to shout to them. About ten minutes later, Lucia comes running towards us, ecstatic, panting “I need the camera to take some pictures. The view up there is fantastic!” We hand it over to her and she sprints off, kicking up a trial of sand as she runs back up to the top. As we adults amble over in their general direction, tired and sore from two days of jostling on the back of a camel, Mac comes careening down the dune proclaiming that the view from the top is “a once in a lifetime experience” and that he believes we can make it up there just fine “if you take your time and remember to breathe slowly”. Colburn and I looked at each other and smiled for we both felt the mixture of pride and amazement at our kids for what they now seem to value and how they have embraced the challenges and adventure of travel. We heard our words coming back to us from our children and sense that they will continue these types of adventures long after we are gone. 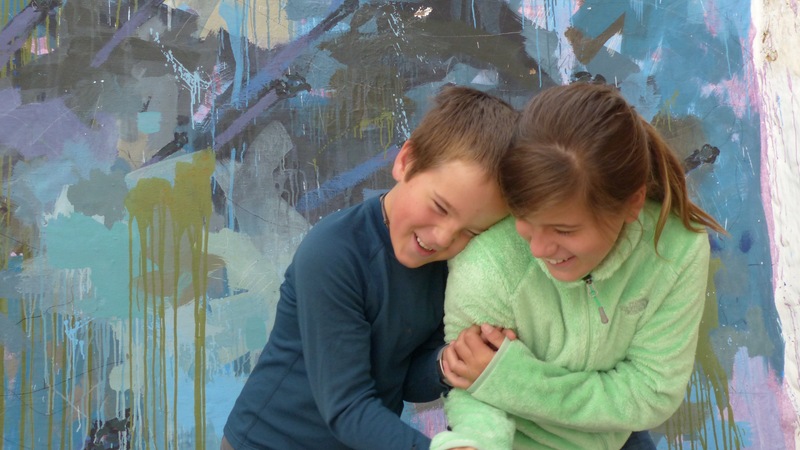 There is a great comfort in knowing that our kids have internalized the lessons we have learned together through these two years of travel and perhaps cherish them even more than we do. Their whole lives will be spent knowing the quietness and incredible beauty of the desert those few nights, they will always have with them the memory of the giddy thrill of swimming in the Galapagos with the sea lions, and they will always be able to recall the excitement (and terror) of watching a lioness hunt down a gnu. It is impossible not to wonder how these early experiences will alter their conception of the world. Marrakech is a true “we’re not in Kansas any more” kind of place. We had the exact same experience and cannot wait to go back for more!